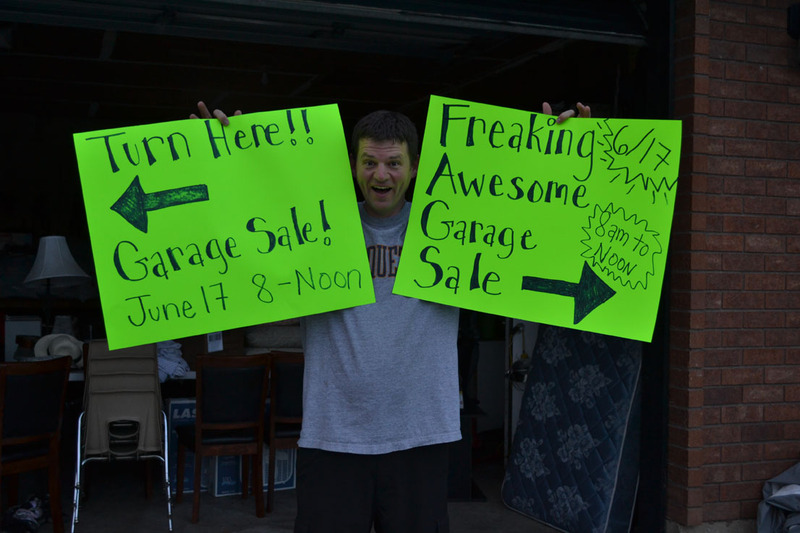 It’s summer and its garage/yard sale time! 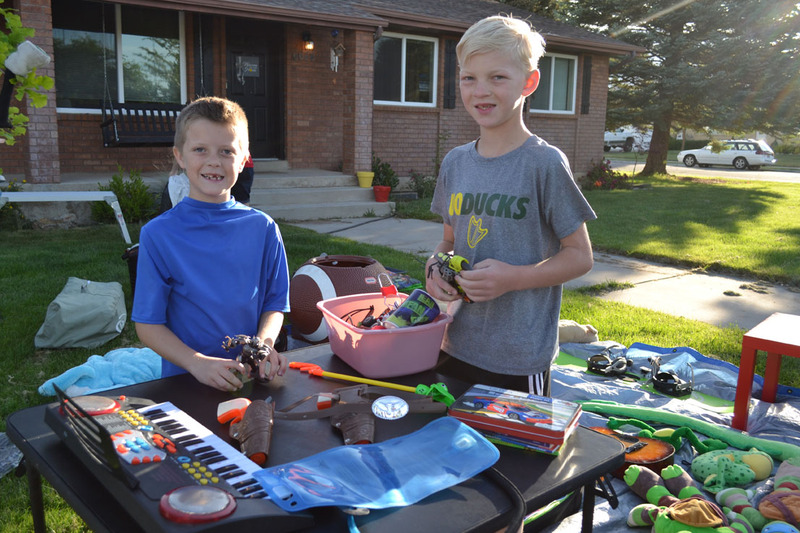 Check out these 7 great tips to help you have a successful garage sale! If you can advertise a MULTI-FAMILY yard sale, you automatically get more people, because that means more stuff. Plus your neighbors will thank you for allowing them to de-clutter without the hassle of doing it themselves. About two weeks before our yard sale, I sent a text message to about 20 of my surrounding neighbors. I also offered to let them just drop off their stuff and we would sell if for them. That makes it even easier for them and more foot traffic for you. We ended up with three families total and PLENTY of stuff to sell. Make the signs bright colors and hang them in strategic locations on busy intersections leading to your street. One sign at the end of your street just won’t do. I added some fun adjectives like “freaking” and “awesome” and it seemed to work. We had a steady flow of people all day. Bob Barker would not approve if you are trying to sell your child’s used mattress (with pee stains on it) for $20. In fact, you should be paying them for getting rid of it for you. Your junk is not worth as much as you think it is. If you’re going to give away everything to good will at the end of the yard sale anyway, why not sell if for super cheap and get rid of it? If you have high-end goods for sell for high-end prices, they will collect dust on your driveway. 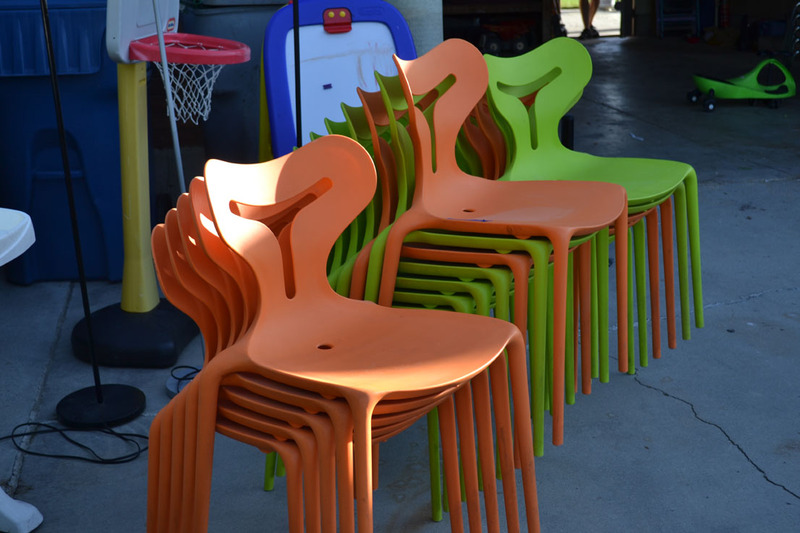 Those types of items should be sold individually through an online garage sale or online classifieds. If you don’t mind setting it out there and seeing if it will sell, be willing to stay firm on the price. De-clutter. Give yourself time to gather items and de-clutter your house. If you’re going to a yard sale, you need at least a week or two to prepare. Slowly put the “gotta go” items in a pile in the garage. Prep the night before. Set up tables with everything ready to sell the night before. There are people (such as myself) that arrive 10 minutes early to a garage sale just to get the good stuff. 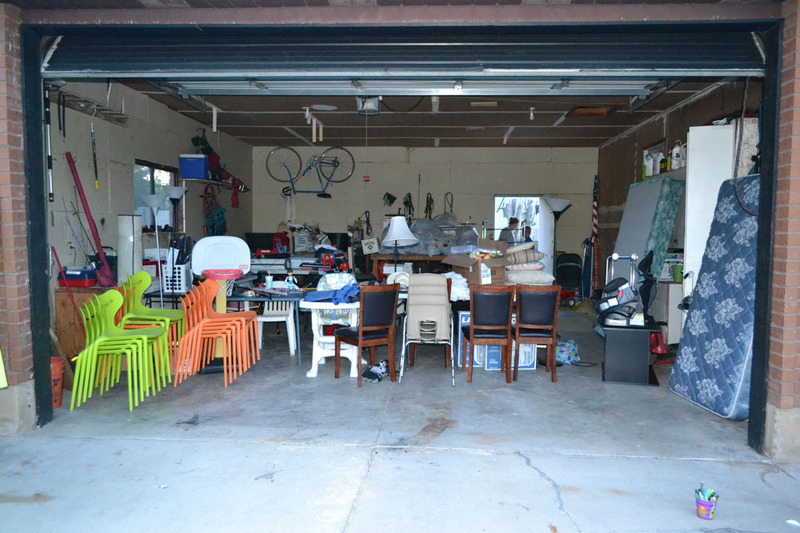 I call them “crazy garage salers.” If you’re not ready, they will come and go before you have everything set out. You might miss out on selling some good stuff, plus you’ll get really frustrated and flustered. On specific items that you are firm on the price, be sure to put a price tag on them. You can buy yard sale stickers at your local dollar store. Have plenty of change. Inevitably, your first customer is going to buy a tiny 50-cent stuffed animal and will hand you a $20 bill and ask, “Do you have change?” Be prepared. Go to the bank the day before and get some change. You’ll need at least twenty $1 bills, five $5 bills and a few $10 bills. 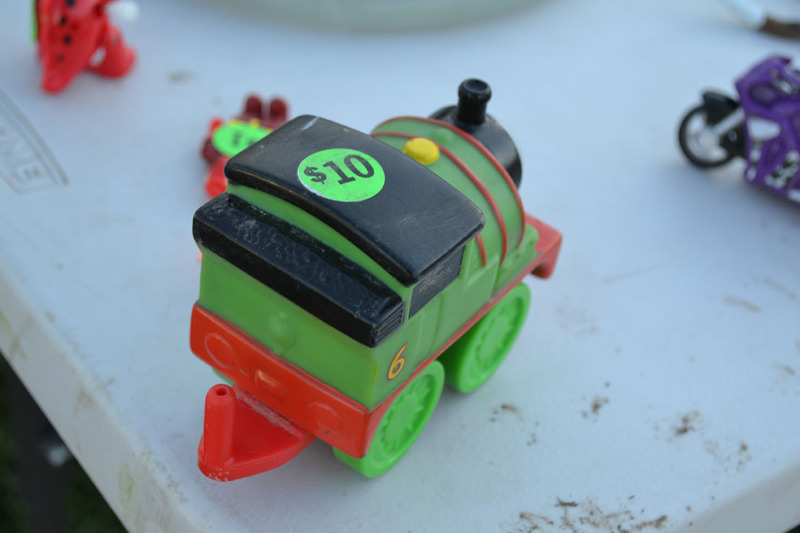 I go to a lot of garage sales and seen a lot of junk for sale. Don’t try to sell your broken crockpot. Just throw that away. But your dutch oven that you haven’t used for 10 years would probably be a hot item. My rule of thumb is that if you haven’t used it in a year, chuck it (or sell it in this case). My friend made $450 at our yard sale. All of her stuff was very nice, she just didn’t need it anymore. This is a great way to allow your kids to earn their own money. There are plenty of things they can sell as well such as otter pops, baked goods, homemade slime, old toys and seashells. My son and his friend stuck at it the entire time and their patience paid off. They sold a lot of stuff. Plus it was a fun family activity to do on a Saturday in the summertime. #7-Don’t forget to donate the rest! Overall our garage sale was a success. Although it might have been a little bit of work, it definitely paid off. My husband was probably the happiest because we gave away everything that didn’t sell. Now there is a lot more space in our storage room for more garage sale treasures that I will find this summer! 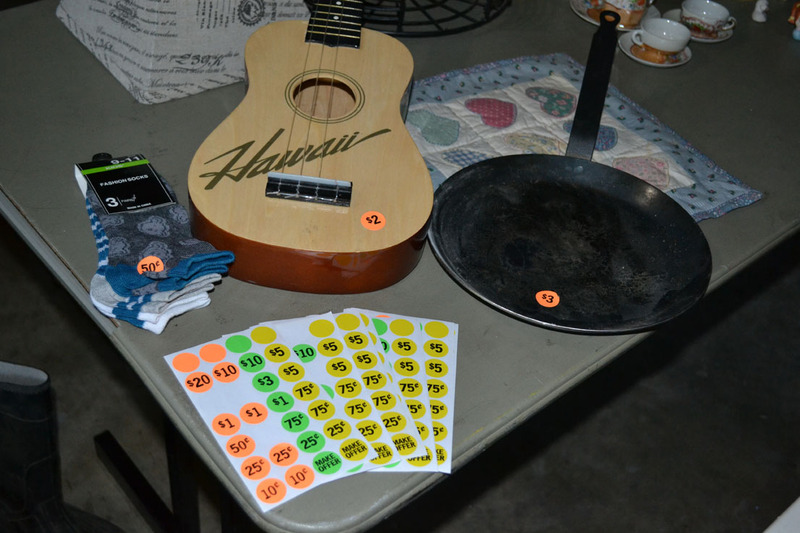 What tips and tricks do you have when holding a garage sale? Leave your comments below.